A state political action committee (PAC) is a fund that helps to support candidates who have demonstrated support for the title industry. State PACs are non-partisan and support candidates on the basis of their commitment to the industry, regardless of party affiliation. A state PAC builds awareness of the industry with policymakers and helps to protect the future of the industry. The real estate market and related industry’s are under increasing scrutiny across the US at the legislative and regulatory levels. One of the best ways our voice can be heard is through state PACs. State PACs are one of the most effective advocacy tools we have with the express purpose of representing the title industry in state capitols. A state PAC helps elect and re-elect legislators who support the title industry and can help protect the future of our industry. Having a strong, well-supported Political Action Committee (PAC) is critical in propelling the industry towards its legislative and local government goals. To candidates, a PAC represents numbers, constituents and strength. 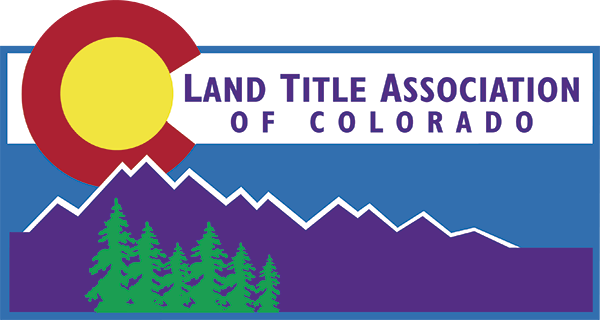 The LTAC PAC provides a unified voice for the Colorado title insurance industry and positions us to meet the challenges of an ever-changing political environment. Every day officials on all levels of government make decisions that impact our industry. Every year our legislative issues become more complex. Nearly 700 bills are introduced every legislative session. The wrong decision could eliminate your livelihood. Your contribution is vital if we are to continue supporting industry friendly candidates. Every dollar you contribute to the LTAC PAC goes directly to targeted candidates here in Colorado. To contribute to the LTAC PAC, please contact the association office by email or phone at 303-756-9008.